Alpenglow Sports is sponsoring a free winter film series at Squaw Valley’s Olympic Village Lodge. The next film is December 5, with guest speaker Freddie Wilkinson. 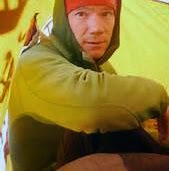 Wilkinson is a writer, guide, and climber. His writing has appeared in National Geographic, Outside, and Men’s Journal. The following is a short film featuring Freddie Wilkinson on a climb.